Run Time: 48 Minutes For ARMORERS and NEW SHOOTERS alike…The M1 Garand is one of the most respected and collected rifles today. Many are still in use regularly in competitions across the country. To keep these war heroes operating at their best you need to know where to start. This DVD was designed for the shooter who does not have the experience of the takedown process as well as for experienced armorers who need a refresher course. 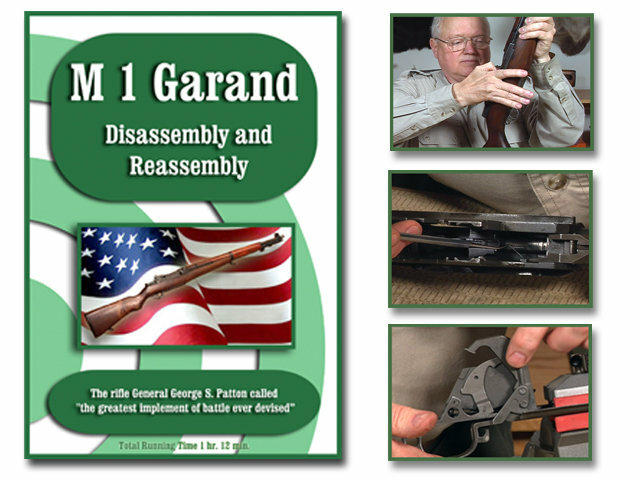 An added bit of advice with this firearm is to “watch out for your thumb.” With this DVD, most gun owners can perform the complete disassembly, cleaning, lubrication and reassembly with confidence simply by following the easy to understand instructions. On-Target’s DVDs are digitally produced and provide clear and concise instructions. We at On-Target take great pride in the up-close videography of each DVD.